An open edition print of the original charcoal drawing "Madrid" by Jason Rafferty. This is an open edition print of the original charcoal drawing "Madrid" by Jason Rafferty. 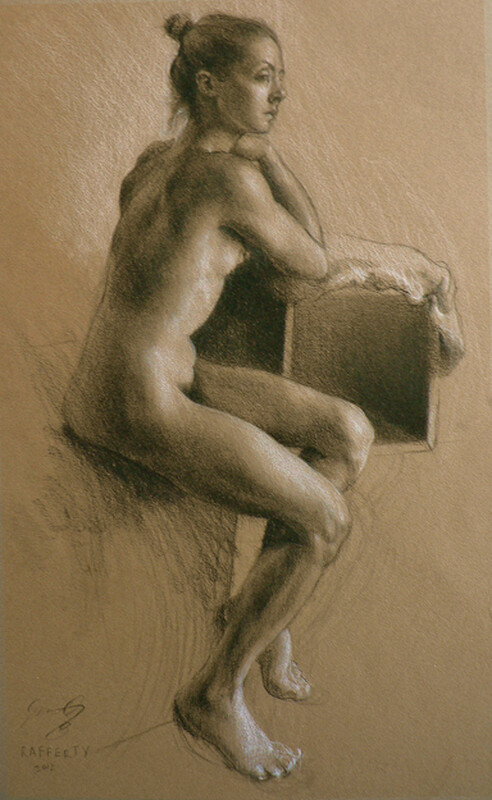 This piece was drawn at my first workshop with Studio Escalier in Paris, France. While working to assimilate their array of excellent concepts, I wanted to create a few figurative drawings that could stand on their own as compelling pieces of artwork.